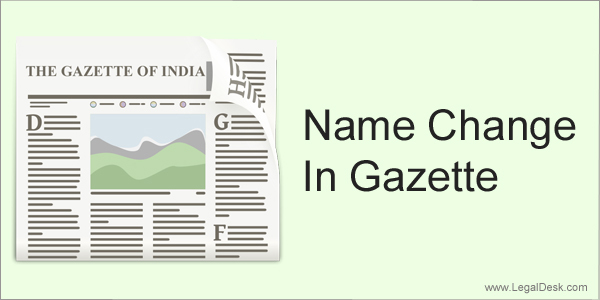 Is Gazette Publication Required For Changing Your Name In India? Most of us know that we hardly have a say in what our names are. Thankfully, we do have ways to set this right now. In India, anybody above the age of 18 is free to change his/her name to something else as long as the procedure involved is followed without mistakes. For all of you, unhappy with your names, this article may come as a welcome relief. Let’s find out how a major Indian can change his/her name the legal way. Is Gazette Publication Needed For Everyone? While Gazette publication is recommended for everyone, it is rarely practiced by non-Government employees. For Govt. servants, this is a compulsory step. These days, there is an increasing demand for Gazette publication for everyone while changing your name, especially in KYC forms and other similar documents. However, for changing your name in Passport, PAN and some banks this is optional for non-Govt. employees. Whatever your reasons are, astrology, marriage or anything else, name change is a simple procedure in India. The process as such, though simple, may take time. Keep in mind that the Registration of Birth and Deaths Act will not allow more than one name change in a person’s lifetime. Which means due consideration should be given to the idea of name change and the name you pick. Now, let’s get to the steps without much ado! The first step would be preparing a name change affidavit mentioning reason for such a change on a stamp paper of INR 10. Ensure that you include vital details like old name, intended new name, reason for name change, address of current residence and father’s/husband’s name. Appear before a notary/legal official/ Magistrate and swear the affidavit. Get this affidavit attested. Filling in a declaration known as the Pro Forma is the next step in legally changing your name. This application can be obtained from Dept. of Publication of any state. You will have to fill in this form in the presence of two witnesses and also get their signatures. You will also need to two attested photos of yourself. A cover letter also has to be drafted. This is a really vital step. An advertisement indicating your name change must be published in a local newspaper indicating the fact that you changed the name and other details like old name, new name and since when this name change applies. Once the ad appears, you must keep an original copy of the advertisement. Having more than one copy cannot hurt, so we recommend that you keep at least 10 samples (the whole newspaper) of your ad. This is generally considered as the concluding step in the name change procedure in our country. This step involves publishing the name change in your State Gazette after paying the requisite fee. Submit the application with documents like the Proforma, the newspaper with the ad highlighted, affidavit prepared initially and the attested passport size photos. As a closing step, you will be required to obtain copies of the gazette publication wherein your ad appears. You may have to wait for a fortnight to get copies. What Happens After Your Name Is Changed? Once you have successfully completed the above steps, your name is considered changed officially. Presenting copies of the Gazette publication you can request for issue of new passport, electoral ID and other valid Govt. IDs. If you are someone wishing to pursue higher studies in India or abroad, you may have to get your name changed in your class 10/12 certificates and degree certificates as well. This can be done by writing requests to the boards/ universities that issued your certificates to you. Well, that’s the whole procedure for you. Good luck with your new name! While the procedure is fairly simple, there requires some amount of moving around to get things like the affidavit and other documents prepared and printing them on stamp paper. 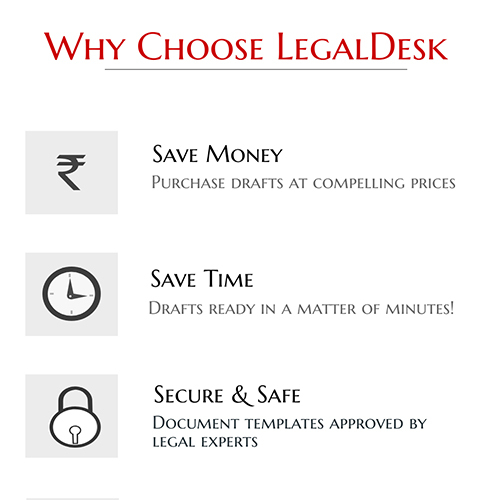 Most people agree that this is the most frustrating task of all because finding stamp vendors, drafting the affidavit and most of all deciding the content of the affidavit are Herculean tasks which is why LegalDesk presents a very easy way to get this done.